Establishing Property Value. What's it Worth to You? What’s a property’s value worth to you? If you are looking to learn how to invest in real estate by acquiring income-producing properties, then you need to have a method to determine value. 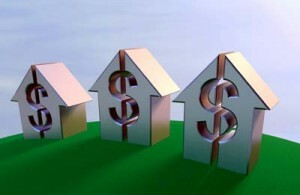 Establishing property value is one of the most important financial tasks of an investor. In real estate you certainly don’t want to rely solely on a sellers’ or broker’s evaluation. It’s imperative you are able to determine value on your own to truly know if you are making a smart investment decision. Investors must be concerned with purchase prices in order to allow them to attain their sought after rate of return. Sellers will often market a property based on its potential future value. As a buyer, you want to pay what it is worth today. No one will look out for your best interests more than you. Hence, establishing property value can ensure you are paying a fair price. Seller’s will try to make properties more appealing by using pro forma numbers. If you shell out too much you may not be able to attain a positive cash flow. This is often cited as the biggest reason inexperienced investors don’t meet their financial goals. 3 Main Ways to Evaluate Properties and Establish Fair Market Value. With this method you base a property’s value on the recent sales of like properties within the same area. This is the most common approach for single family houses and small (1 – 4 units) multi-family properties. The Business Dictionary defines this as “The method of arriving at the appraisal value of a property in which the accrued depreciation is deducted from the property’s replacement costs at current prices.” This approach is often used by insurance companies to estimate value and is typically more reliable with newer construction. The value of an income-generating property is based on the net income produced by the property. In general, the higher the Net Operating Income is (NOI = gross rents less operating expenses), the greater the property value. How the property performs now, and in the future, establishes its value. This approach is most common with commercial real estate. Typically appraisers use one or a combination of these methods. Most times with commercial real estate the Income capitalization approach will have the heaviest weight assigned to it. Understanding the valuation process is key to learning how to invest in real estate and the success of any investor. Take the time to learn these methods. You will be better prepared to make the right investment decisions and move you one step closer to financial freedom!! Establishing property is just one of the elements in multi-family investing. To learn more about how multi-family properties are analyzed and evaluated, sign up for our informative property Evaluation video series.